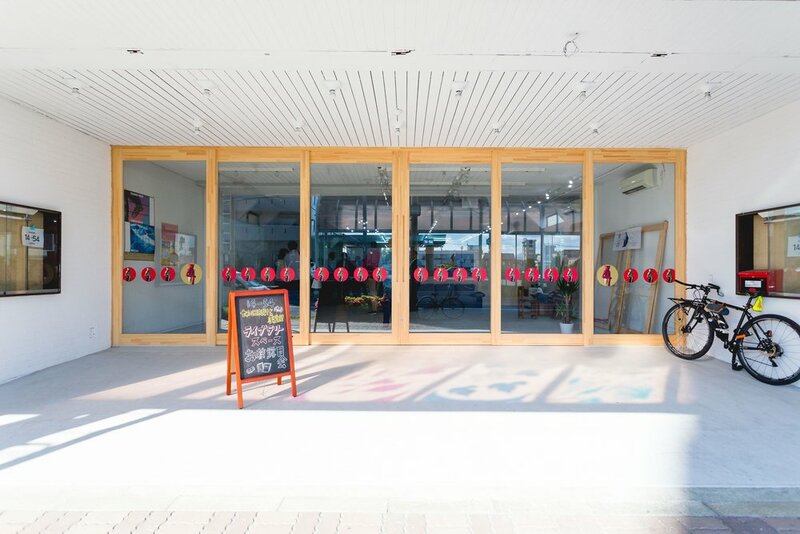 14-54 is an open space shared by Queen & Co., Towada Art Center, and the City of Towada. Feel free to come and relax, check out the Towada Art Center reading room, or talk with us about using the space for your next event. 14-54 is a public space, open and free for all. We wondered how best to build a place slightly out of the ordinary, a place that would spark something unusual and exciting. The building in question—now 14-54—is an old bookstore that had closed after over 60 years of business. 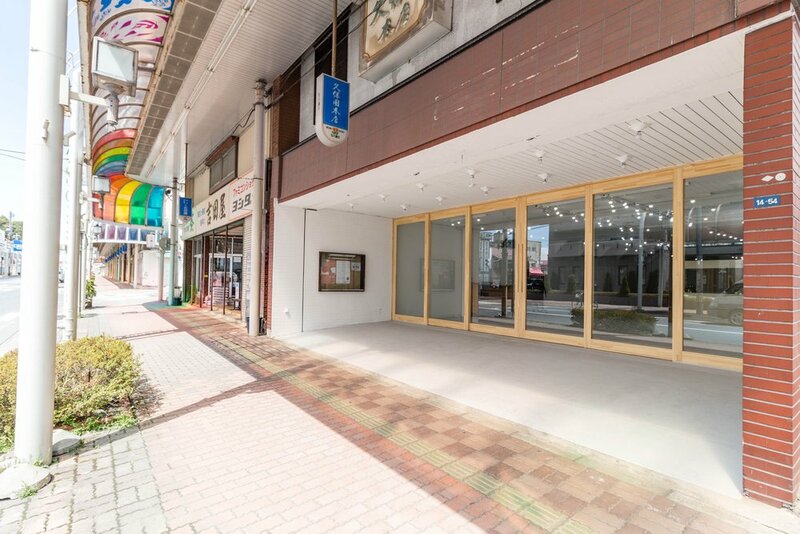 Numerous renovations and additions had made the building long and deep, an unagi-no-nedoko typical of many other buildings along Towada's covered shopping arcade. 150 years ago, the first settlers in Towada built their shops along this street, which to this day remains Towada's main arterial. Storekeepers at the time built narrow entrances to avoid hefty taxes calculated by the width of their shops, behind which lie the proprietor's residence and small vegetable gardens. As times changed and the city grew, shop owners traded their houses and gardens for retail space, building second floors for living quarters and further expanding their stores with additions and annexes. At first glance, it may be easy to miss just how deep these buildings go, but once inside visitors are amazed at how far back they extend. We thought about how best to entice passersby into 14-54. The space needed to be transformed into somewhere exciting and inviting, a place where visitors could encounter something new and unknown. We first removed the walls between many small rooms to create a single, wide-open space. We built a booth, which would go on to become 14-54 Café, to divide the space without isolating any one area. The booth has a furniture aesthetic and leaves about one meter below the ceiling open to give the entire space a sense of continuity. We painted the floors gray and the walls white so that the space does not overwhelm the events that unfold here. At the entrance, we traded heavy corrugated shutters and thick metal frames for giant glass doors inside bright wooden frames. Recessed three meters from the sidewalk, 14-54's entrance and interior are extensions of its exterior, with the same white walls and grey floors, as if to allow the activities happening inside to jump out into the city at any moment. Since its opening, we have seen many visitors to the shopping arcade who stop to peer inside the anomaly of 14-54. Intrigued by its openness, many find themselves drawn inside to see more. The more people who stop by, join in, and spread the word about 14-54, the more we see people participate and join us in setting off a positive chain reaction of events in and around Towada.